Just an hour after Snapchat dropped its custom Story update, Instagram Stories has announced two new types of Stories of its own. Here's how to use them. It turns out that today has been dubbed new Story day. Just an hour after Snapchat dropped its new custom Story update, Instagram has announced two new types of Stories of its own. Granted, the timing isn't so surprising when you consider how competitive the two platforms are with each other. But this time, Instagram's update is different from Snapchat's addition. When you click the hashtag or location sticker in someone else's Story, you'll be taken to a page full of posts from the same location or with the same hashtag. From there, you can access the larger Story (and fall further and further down the Instagram rabbit hole). 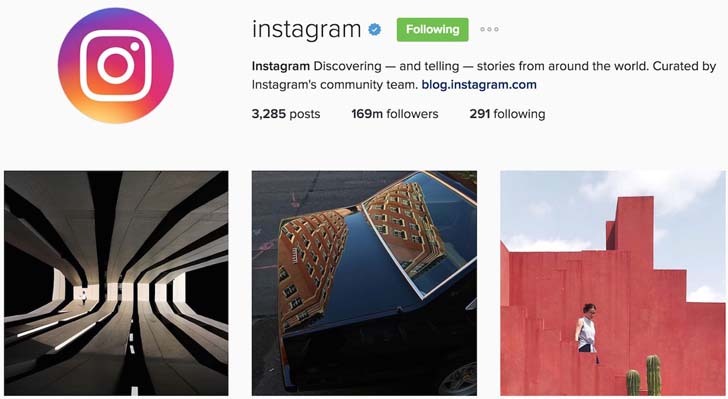 Both hashtag and location Stories are an extension of Instagram's Explore tab, which makes it easy to see what users beyond your immediate group of friends are posting on the same topics or at the same places. Location Stories, in particular, will be a major asset for travelers. Want an inside peek at city's offerings before going? Just search for the city to see and find out where locals and other tourists are eating, shopping, and staying. Click through to see how to create each new type of Story, and how to find out when yours gets included in a larger Story. A warning before diving in: It's going to be way easier to waste hours on Instagram. When crafting a Story post, start to type a hashtag as you usually would. Above the keyboard, you'll see trending hashtags show up in the same way that they do when you're writing a caption for a regular Instagram post. Once your Story is live, anyone can click on the now hyperlinked hashtag. Clicking on the hashtag link will take you to a page of posts that used the same hashtag. You can click the hashtag circle that appears at the top of that page see a random selection of up to 20 recent Stories with that hashtag, potentially including your own! The same logic applies to creating a Location Story. Select the location sticker from the sticker folder, and choose either a broad city location, such as New York, New York, or something more specific, such as the restaurant where you're eating brunch or the museum you're visiting. When someone clicks on the hyperlinked location sticker, they'll arrive on the location page, showing photos with that location tag. Click the Story ring surrounding the location at the top of the page to see up to 20 recent Stories that were tagged for that spot. When you've finished viewing those 20, Instagram will refresh with 20 new posts to click through. You'll also see a new city Story in the Stories tray along the top of Instagram's Explore page. This will always pertain to where you are at that moment. So, if you're visiting Madrid, you'll see a Story that combines recent Stories tagged for Madrid.When clicking through a Location Story, you'll see the name of the user who posted each photo in the upper left-hand corner, just below the main Story name. You can tap the username to go to that person's profile.Want to know if your tagged post made it into the larger Story and, if it did, how many views it got? Simply go to your post, and swipe upwards. After swiping upwards, you'll see individual followers who viewed the post per usual, as well as the larger city Story icon with the number of viewers.